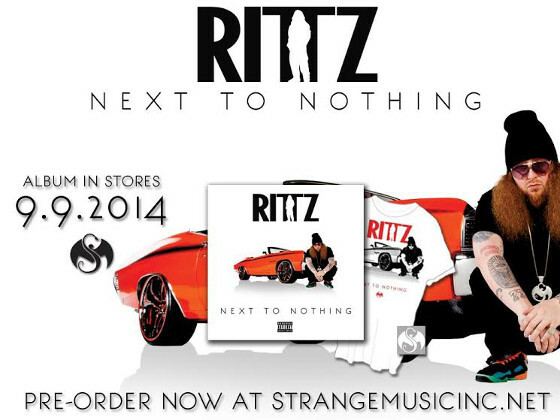 Rittz weaves an autobiographical masterpiece with “White Rapper” from his upcoming album Next To Nothing. Props and identity crisis meet in the middle over an explosive instrumental in “White Rapper”, the latest single from Rittz’s upcoming brand new album. 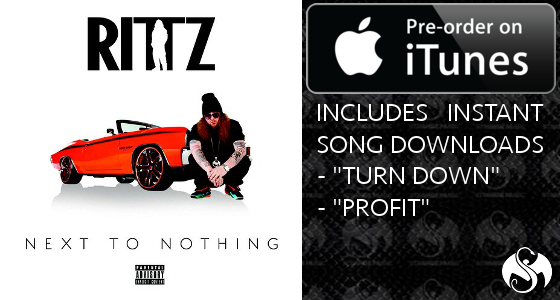 Producers Track Bangaz provide Rittz with a menacing instrumental over which he tells his story about how he fell in love with hip hop, became an emcee, and how he tries to reconcile sticking out as a “white rapper,” when in reality he’s one of the sickest emcees you’ll ever hear. “That’s the overall topic of ‘White Rapper’. The whole song I pay respect and show how I got to this point. What bothers me is that, I didn’t rap just to rap. I really take pride in being a good rapper. The people who founded the music, the legends in the game – the Lord Jamars – what they made I’ve practiced for years and years to be good at, and I take pride at being good at.